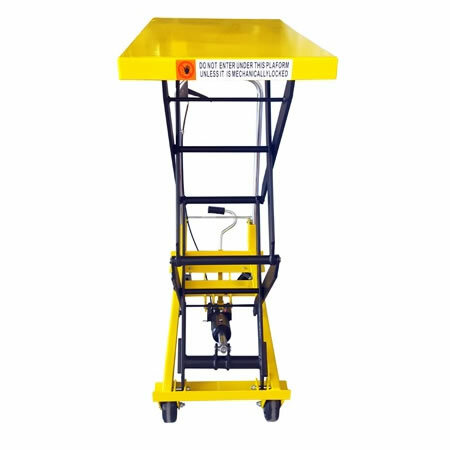 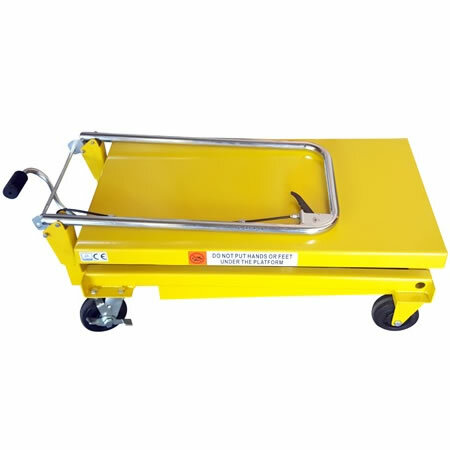 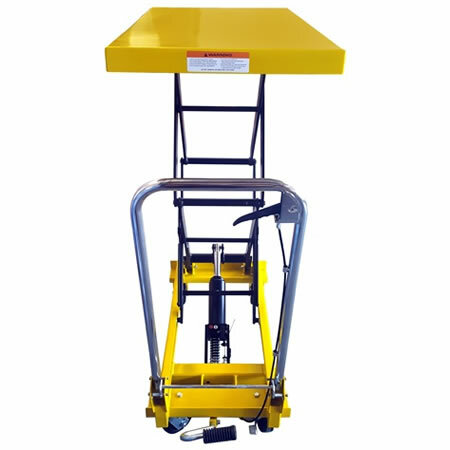 Manual hydraulic lift table ergonomically designed with a foot pump to elevate the table to waist height of 1300mm reducing strain and fatigue from bending over. 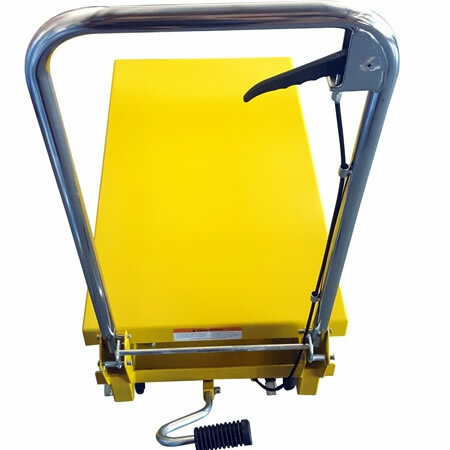 Easy to use pump to elevate up and release handle for it to go down in a controlled manner. Locable swivel urethane castors with toe guard.Hand Release leaver to lower the table to preferred height. 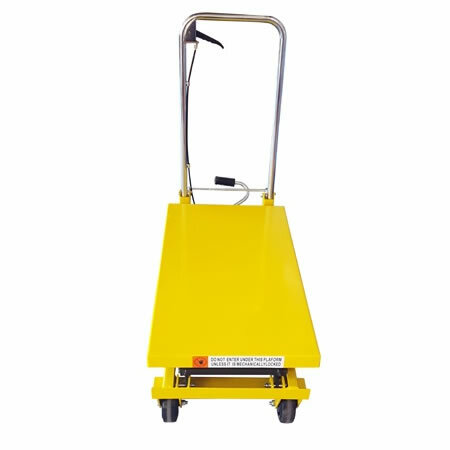 Easy to use foot pump allows user to lift to desired height. 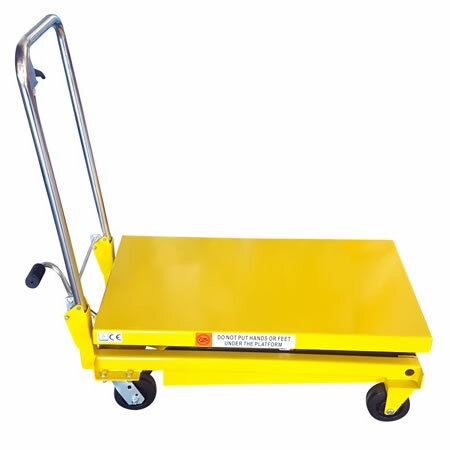 Powder coated safety yellow for hi visibility and extra protection from wear and tear. 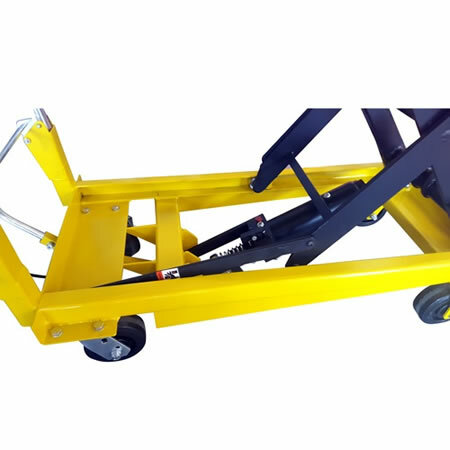 The handle folds flat for easy storage. 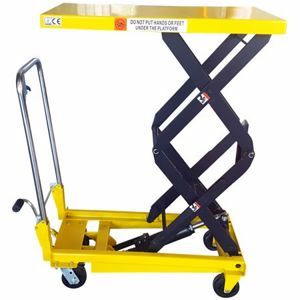 Perfect for picking in warehouse or process work.